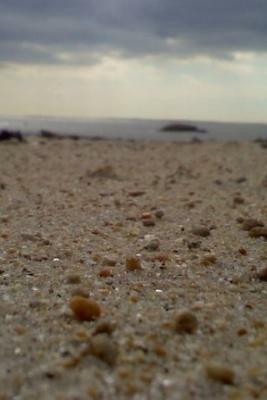 The Beach Therapy Blog is my mini-journal about beaches. It lets you know whenever any new pages appear on Beach-Therapy or when beach related news happens. I will include some incredible beach pictures you might otherwise miss. Updates on the best beach destinations posted as I visit and explore them. I will also let you know when I send out the Beach-Therapy e-zine (in case you don't like to give your e-mail address, or if your ISP tends to over-filter causing you to miss an issue). To subscribe to my Beach blog (no e-mail necessary), right-click on the orange RSS button (see bottom buttons to the left) and then paste the URL into your RSS reader. Or click on the My Yahoo! button or My MSN or Add To Google button if you keep a personalized home page there. Still need more info? Click here... What's an RSS Feed? Continue reading "Heceta Beach, Florence Oregon at Driftwood Shores Resort and Conference Center"
When you enter Point O' Woods Beach under the railroad bridge, PAUSE… and leave the world behind. Continue reading "Point O Woods "
You will see the ocean better when you are on the beach if you close your eyes. Continue reading "Gulf Shores, Alabama"
Continue reading "Beach Coloring Pages"
Rehoboth Beach, Delaware - A Hidden Gem! 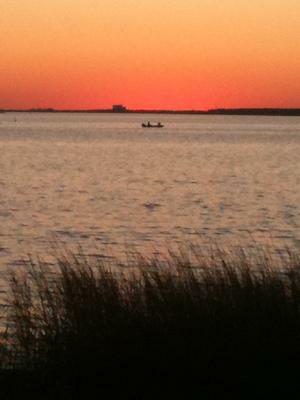 Continue reading "Rehoboth Beach, Delaware - A Hidden Gem! " Continue reading "Where Will You Find Me? " Continue reading "Wildwood Crest NJ 08260"
The beach is so bright and full of life, but yet I fall asleep in my chair and when I wake up I have darkened. Continue reading "My stress free place - Boracay Island Philippines"
Continue reading "Sunken Meadow Beach, Long Island"
More beach poem and beach quote submissions for beach wedding invitations, beach scrapbooking, and ocean themes from Beach-Therapy.com. Continue reading "More Beach Poem and Quote Submissions"
Continue reading "North Myrtle Beach, SC." Is the beach really actually therapy? I am writing this post in response to a personal question sent to me by one of my website visitors. Eric asked if I thought a beach vacation could actually help you "find" yourself or even relieve mild depression. My answer to him was that I think that a vacation in general can help you find yourself again. It is a break from the normal routines and a chance to explore the world outside your everyday scope. I believe for some people that place away that helps them mentally regroup may be the mountains or a lake or a cabin in the woods. For me that place is the beach. I have enjoyed other vacations in my life and am certainly not above taking my children to an amusement park (on the way to the beach of course). However, in the end all that fun is not the same as the complete and total peace I can achieve walking down a beach and listening the sounds of the surf. There is some scientific evidence as well that the salty sea air has health benefits as well. I suffer from seasonal allergies most of the year, but at the beach the salty air helps me breath easier. I think I will talk more about the actual health benefits in another post but wanted to add this aside. I would also like to point out that heading out for a vacation is not a substitute for seeking professional help if you are suffering from serious depression. I think it helps with a normal funk but a chronic issue may need medical intervention. I am not a professional therapist but do have some counseling background and would be remiss if I did not address as well. I have some other thoughts on how to make a vacation a renewing experience and will share those in my next few posts. Thank you Eric for helping me get a little Beach-Therapy today. Continue reading "Is the beach really actually therapy?" Continue reading "Jones Beach Wedding"
Continue reading "Monique and Tony Jacksonville Beach Wedding Blue and White"
Continue reading "Beach Wedding - Shoes Optional - Sign"
A directory and review of free beach cams. 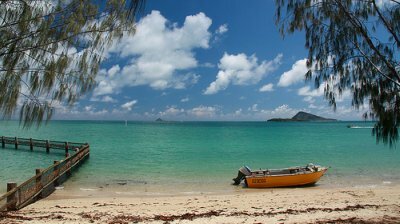 Directory and reviews of beach cam locations throughout the world. Live beach pictures and the sounds of the ocean anytime of day or night. Continue reading "Beach Cam Directory"
Continue reading "Cabo San Lucas, California Baja Sur - MEXICO"
Charleston area beach vacation information for Sullivans Island South Carolina. Which area beach is best for your Charleston beach vacation? Continue reading "Sullivans Island South Carolina"
Folly Beach South Carolina is the closest beach to downtown Charleston but is it the one you should spend your time on? Charleston area beach reviews and more. Continue reading "Folly Beach South Carolina"
Charleston Vacation planning guide for visitors who want to enjoy the South Carolina beaches nearby. Downtown Charleston information. 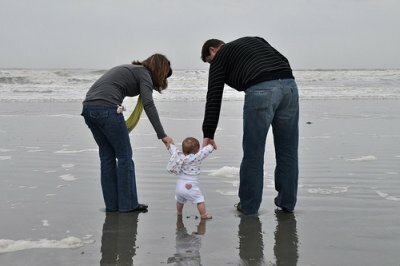 Continue reading "Charleston Vacation Planning Guide for Beach Lovers"
It's never too early to plan a family beach vacation. I love seeing beach babies walking in the sand. They always crunch their toes and giggle at the waves. Reviews of Kiawah Island, South Carolina coming soon. Flickr Photo by Devonaire Eye. 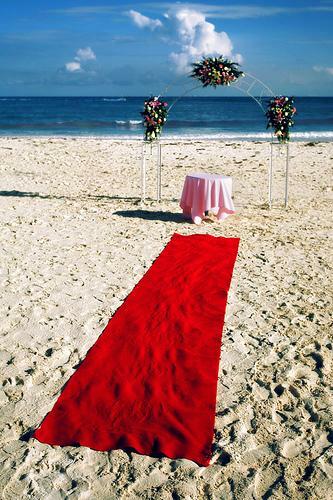 After a wedding at Playa Del Carmen Beach in Mexico. Just made me smile so I thought I would share so everyone can start the new year out with a little beach-therapy. Continue reading "Horseshoe Bay, Bermuda"
Continue reading "Beach Wedding Photo Idea"
Continue reading "Victoria Bay, South Africa"
Continue reading "The Wilderness, South Africa"
John U. Lloyd State Park in the Dania Beach Florida area is a family beach vacation paradise but there are some tips you need to fully enjoy the experience. Full review with beach pictures. Continue reading "John U. Lloyd State Park, Dania Beach Florida"
Family beach vacations are a necessity in my family and south east florida offers a great domestic alternative to expensive and sometimes complicated international travel. Beach reviews with pictures. Continue reading "Family Beach Vacations in South East Florida"
Continue reading "Grandmother’s Cove on San Juan Island "
Are the Aruba Beaches worth the time and effort? A comprehensive review of the beaches of Aruba with pictures and video so you can judge for yourself. Continue reading "Aruba Beaches - Reviews of the beaches of Aruba"
Ft Lauderdale Beach review with details of the best places to enjoy a beach vacation. Continue reading "Ft Lauderdale Beach, Florida"
Continue reading "RIU OCHO RIOS, JAMAICA"
Continue reading "Jacksonville Beach, Florida"
This boat is just waiting to take me away today. Thanks to Allan Henderson (Flickr photo)for this little bit of beach therapy today. Continue reading "Santa Rosa Sound, Okaloosa Island, Navarre Beach, and Fort Pickens"
Is Travel to Cozumel Safe? In light of recent avian flu outbreaks in Mexico, several people have asked me about travel to Mexico's beaches, especially one of my favorites, Cozumel beaches. The official word from the CDC is that travel to Mexico is now as safe as staying home will be, but flu precautions are still recommended everywhere. Ironically, Cozumel is a small island isolated off the coast of Mexico and never reported any flu cases and is likely safer to visit than your local mall. That being said, you should always check the CDC website for travel advisories before traveling out of the country. In the end, if you are uncomfortable with taking a risk, however small, find another beautiful location to enjoy some Beach Therapy. Deerfield Beach Florida or Oskaloosa Island on the Emerald Coast are favorite domestic destinations for me. Continue reading "Is Travel to Cozumel Safe?" Continue reading "Port Crescent Beach in Port Austin Michigan "
Eagle Beach Aruba was recently named one of the top ten beaches in the world! See pictures and video to decide for yourself. 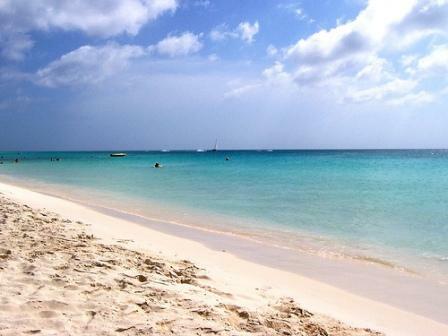 Other Aruba beaches also featured for your beach therapy fun! Continue reading "Eagle Beach Aruba"
These huge waffle weave bath sheets are the best beach towel I have ever found. The blanket size is perfect for a day in the sun. Continue reading "Best Beach Towel"
Sure do wish we were here! Thanks to ericfranklin (Flickr photo)for this little bit of beach therapy today. Beach wedding photo gallery to enjoy and to help with beach wedding planning. Continue reading "Beach Wedding Photo Gallery"
Beach wedding planning can be fun, if you keep it simple. 5 simple steps to planning with tips from a professional beach wedding company. Continue reading "Beach Wedding Planning"
Continue reading "Navarre Beach, Florida"